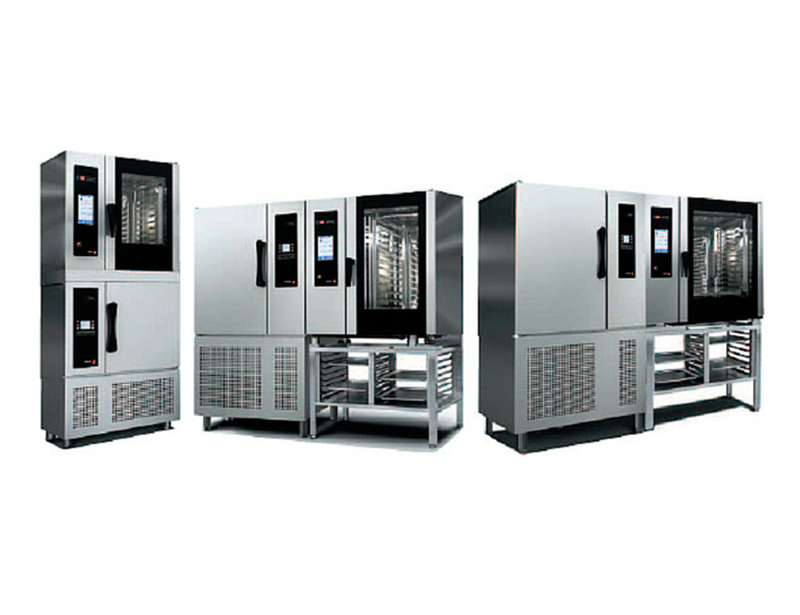 Fagor Industrial offers professional caterers their Cook & Chill solution, a combination of ovens and blast chillers that optimise the work, performance, efficiency and productivity of a professional kitchen. This equipment arrives for the first time in the history of Fagor Industrial, as a result of the marriage of two extreme universes, of the alliance between the Ovens and Cold Divisions. Thus, Fagor Industrial has become the first Spanish manufacturer able to offer a Cook & Chill solution using their own products, reinventing and materialising the synergies created around their Generation of Advance ovens and their new blast chillers, which combine with their corresponding models in the Advance + and Advance range of ovens. The Fagor Industrial ‘Cook & Chill’ process is becoming more and more necessary in the most demanding kitchens, preventing residual heat from altering the quality of the product or avoiding the need to reheat dishes, and therefore lose some of the organoleptic properties of the food. It is a process in which the cooked products are subjected to a rapid cooling process, in which they quickly cross the temperature zone where there is a risk of food contamination (from 65 ºC to 3 ºC). Subsequently, they are stored at an ideal temperature until they are required again. This system guarantees the quality of the dishes, reducing the proliferation of bacteria, increasing food conservation time, and preventing its dehydration and changes in weight. – Savings in work flow management and planning in the kitchen: In using the Cook & Chill solution, it is possible to programme work in the kitchen, using downtimes or quiet periods to prepare the food for the rest of the week. – Economic savings in supply and consequently a reduction in unnecessary expenditure and waste. – Health improvements and conservation of cooked foods instantly: The drop in temperature of the cooked food provides a succulent, delicate and pleasant product, which can be kept for longer, and after being regenerated in an Advance Oven will maintain the flavour and properties of a fresh product. – Greater safety in the treatment of foods and in work flows, thanks to the new accessories, adapted to and compatible with the oven and blast chiller, (plate-holder and tray-holder structures, fixed and height-adjustable trolleys with built-in double wheels and brakes…). 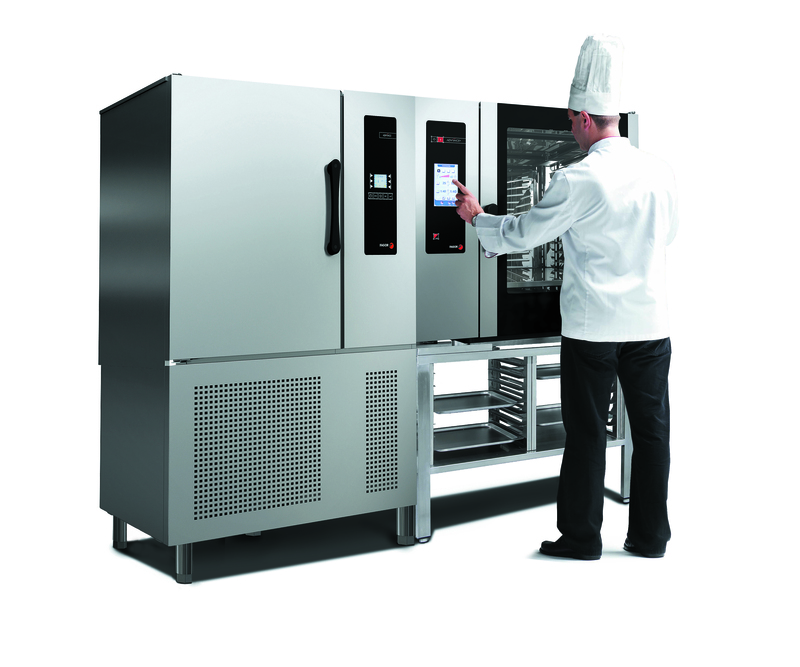 – Management of more simple, hygienic and safer cooking and chilling processes. – Electronic control of entire system, option to pre-programme the chill cycles and to store them electronically. “The Cook & Chill solution provides a saving in costs, an optimisation of resources, increased safety, better health conditions and a recently cooked product of better quality”, declares Juan Alos, Head of Product at Fagor Industrial. “At Fagor Industrial we design and offer the complete equipment that best adapts to each installation with the aim of offering an answer to the main needs of our customers and therefore optimising their everyday work, in the end obtaining the most profitable solution available on the market for their business”, concludes Alos. Hola, quisiera saber en que año se invento este sistema de cook & chill y en que pais se implemento por primera vez?